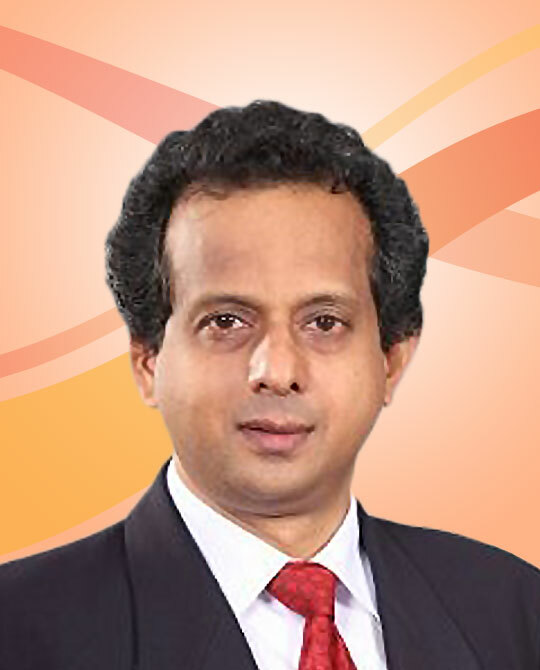 Rajendra Theagarajah is a veteran banker with a wealth of experience in the Banking and financial services sector. He counts over 33 years’ in Banking both locally and overseas. Prabhu Mathavan is an Associate Member of the Chartered Institute of Management Accountants (UK) and the Institute of Chartered Accountants of Sri Lanka. He also holds a Bachelors Degree in Commerce. He possesses over 19 years’ of experience in the field of Finance, Auditing, Accounting and Taxation. Rohan Muttiah is the Chief Operating Officer of the Bank. He has a wealth of experience spanning over 36 years across 4 countries, including 18 years in Australia. Rohan is the founding Chairman of the Banks’ CIO Forum and a past Chairman of the Lanka SWIFT User Group. 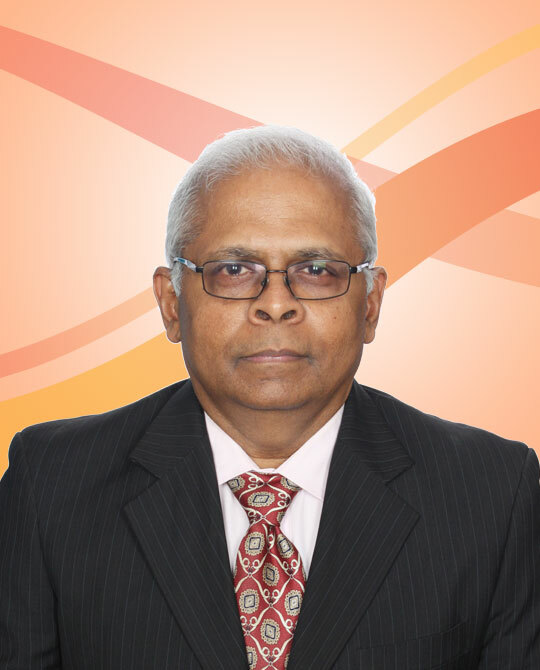 He is also a past Director of Lanka Financial Services Bureau Limited, an alternate Director of CRIB, and a former member of the Steering Committee of FinCERT. Prior to joining Cargills Bank, Rohan worked at John Keells Holdings, Commercial Bank of Ceylon, and NDB Bank. Darshana began his career in Banking at ANZ Grindlays Bank Colombo. Apart from ANZ Grindlays he had worked at Societe Generale Bank Colombo, Hatton National Bank and NDB Bank. He counts over 28 years’ of experience in banking both locally and overseas. 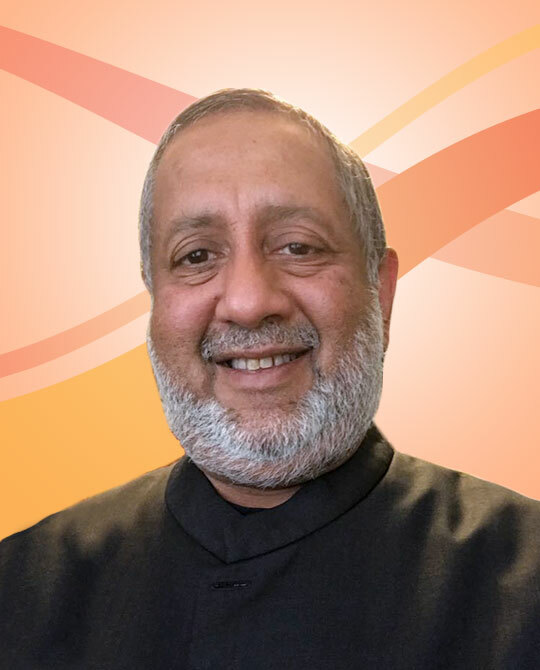 He has gained extensive experience in Credit (Retail, SME, Microfinance and Corporate) Bank Operations, Credit Administration, Branch Banking, Regional and Network Management, Remittances, Credit Risk, Sales, Cards & Alternate Channels, Refinance funding management as well as Private and Priority Banking. He was instrumental in setting up Priority and Private Banking at Hatton National Bank. Darshana was the immediate past Vice President of Retail Banking at NDB bank. He led a team to innovate, conceptualize and deliver and then drive an award winning mobile Banking application for a Bank. Ajit Allirajah Head of Trade Operations started his career with ANZ Grindlays Bank in 1989 and then moved over to Standard Chartered Bank in 2001. He counts over 28 years’ of banking experience having worked for International and local banks acquiring an in depth knowledge in banking. During his banking career he has held variety of management positions in Trade, Risk, Audit, Operations and Credit Cards. Ajit, with many years of experience in International Trade, held the position of Head of Trade Services at Standard Chartered Bank Sri Lanka, prior to joining Cargills Bank in 2016. Mahesha Amarasuriya is a Fellow Member of the Chartered Institute of Management Accountants (UK) and is also a Chartered Global Management Accountant. She holds a B.A. (Hons.) Degree from the University of Colombo and a MBA from the Postgraduate Institute of Management (PIM) – University of Sri Jayawardenapura awarded with merit and having been ranked first and the valedictorian. She is also a ‘Certified Corporate Banker’ awarded by the American Academy of Financial Management. Mahesha has 15 years’ of extensive experience in the banking and finance industry. Prior to joining Cargills Bank, Mahesha worked at National Development Bank PLC where she functioned as a Senior Manager in both the Corporate Banking and the Private Banking Divisions. In 2006, Mahesha was awarded the Young CIMA Star of the year Gold Award, as the most outstanding CIMA Member / Past Finalist in Sri Lanka below the age of 30 years. 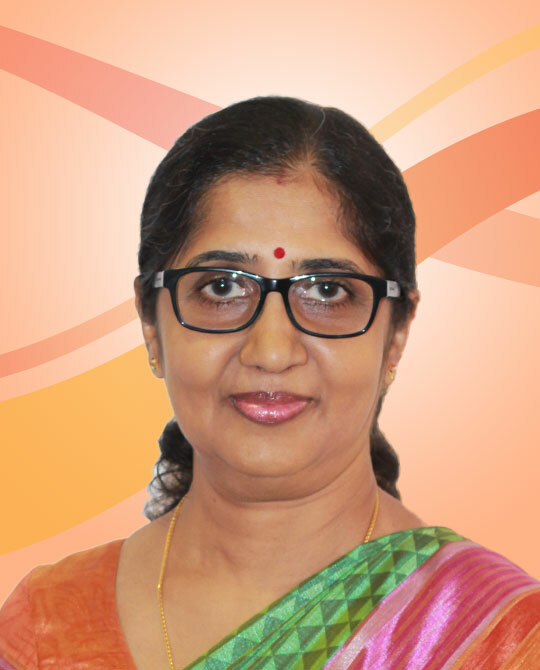 In 2009, Mahesha was nominated by the US State Department, for the Visitor Leadership Program – “Women as Business and Economic Leaders”. Board (Middle East, South Asia and North Africa) in 2017. 1980 – 2002 Amercan Express Bank Ltd , Director Operations and Administatrion. 2002 – 2014 Nations Trust Bank PLC, Chief Manager Central Operations (Bank & Card Operations). 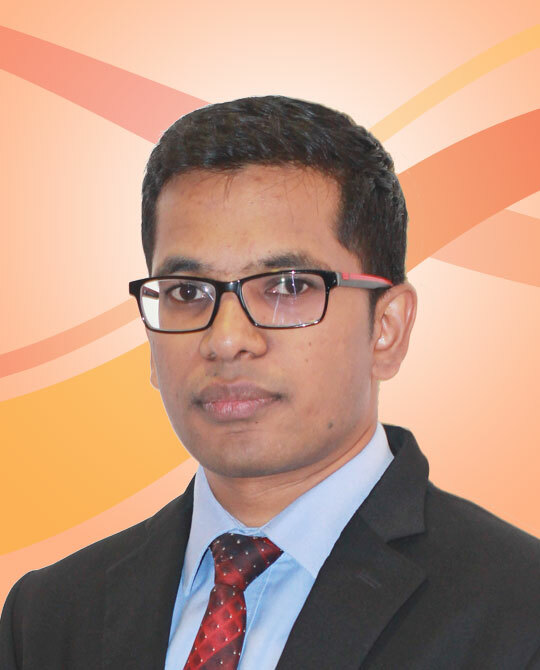 2014 – 2015 Lanka Financial Serives Bureau Ltd (SWIFT Shared infrastructure of Sri Lanka), Head of Business Development and Customer Relations. Gehan joined Cargills Bank with over 28 years of expertise in the Banking and Financial sector. His broad experience covers Retail and Corporate Banking, in local and international banks. Areas of expertise include product development, marketing, risk management, credit administration, operations, branch banking and project management, having held a variety of management positions during this time. 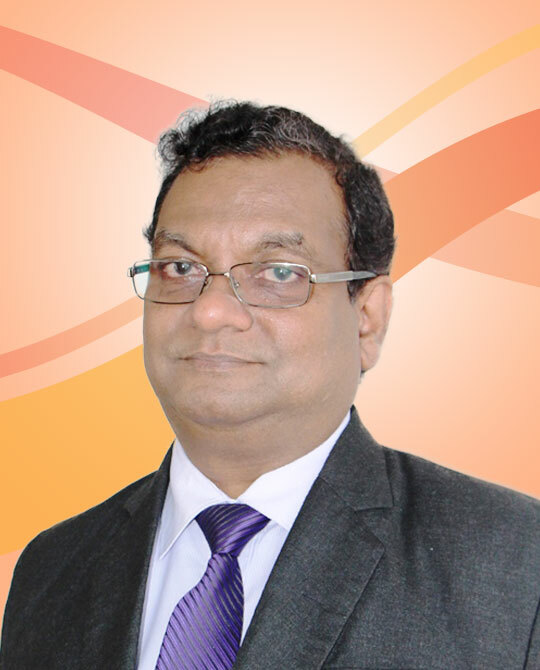 He has been the Chairman of Sri Lanka’s payments industry focus group, the Payment Card Industry Association of Sri Lanka (PCIASL) – whose membership consists of all issuers and acquirers in the local payment card industry. He held the position of a Secretary for 4 years prior to taking over as a Chairman for 2 years. Gehan started his career with ANZ Grindlays Bank in 1990 and then moved over to Standard Chartered Bank as part of the global merger of the two banks. Thereafter, he had a short stint serving the public sector as the Head of Cards Business at People’s Bank. He spent 11 years at NDB Bank prior to moving to Cargills Group in 2017. He was the business and project head in launching South Asia’s 1st commercial Mobile Commerce product ‘eZ Pay’ in partnership with Dialog Telekom. Under his purview NDB was the 1st Bank in Sri Lanka to implement and launch Verified by Visa (VbV) services and the VISA ‘Holomag’ product. He also launched NDB’s 24×7 call centre, card operations, its 1st VISA branded Debit and Credit Cards, and set up over 5,000 mobile commerce acquiring outlets in 9 months. He led a team to implement and deliver local and international award winning mobile banking app and e-statement solutions for the Bank. Gehan also implemented Branchless Banking, off site ATMS and project managed numerous system implementations as well. 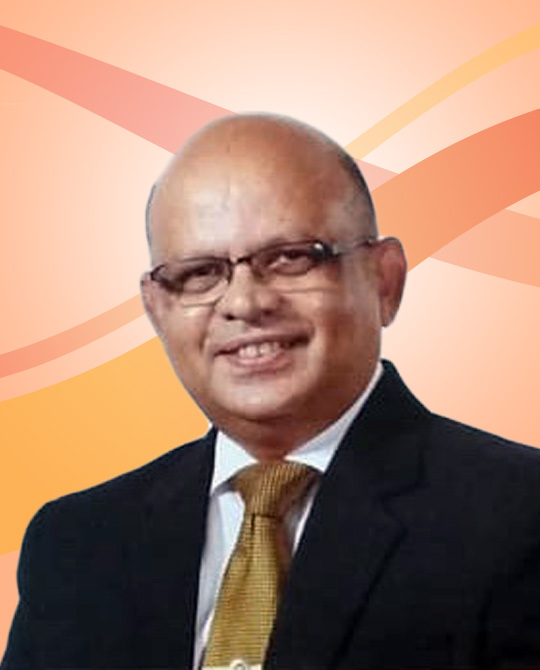 He holds a MBA from the University of Western Sydney, Australia and is an Associate of the Institute of Bankers of Sri Lanka and a life member of the Association of Professional Bankers of Sri Lanka. He currently is the only Sri Lankan to have obtained the ‘Certificate in Business Management in the Payment Industry’ offered by the VISA Business School Asia Pacific. Invited speaker for the 6th Mobile Financial Services Asia Pacific Summit, Manila, Philippines (2012). ‘4th Annual Prepaid Cards Asia Summit 2011’ conference, Singapore. ‘3rd Mobile Commerce Summit Asia 2010’ conference, Philippines. Invited to speak at the ‘Mobile Payment, Remittance & M-Commerce Africa World Summit 2009’ conference, Ghana. ‘TelecomsWorld South Asia 2008’ conference, Bangladesh. ‘13th Annual Cards & Payments Asia 2008’ conference, Singapore. 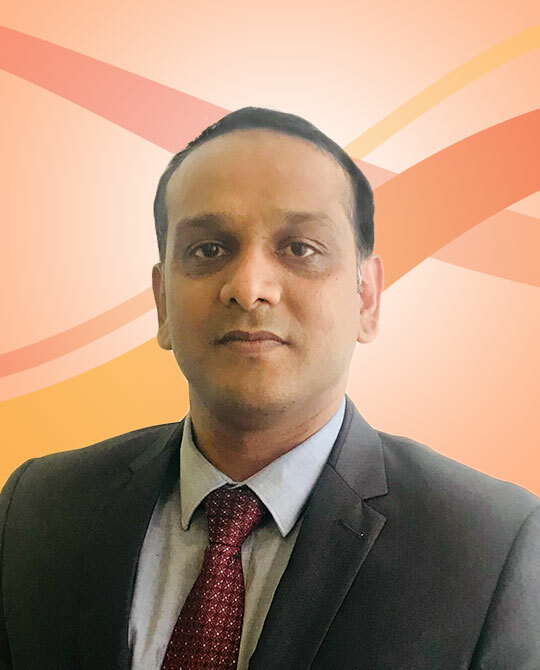 Summaiya Macan Markar – joins Cargills Bank with over 23 years’ of Banking Experience in field of Legal and Compliance from HSBC – Sri Lanka and Maldives, National Savings Bank, Peoples Bank and National Development Bank. She was instrumental in setting up the compliance function in the latter 3 Banks. She is an Attorney at Law and is also has an MBA from the Commonwealth Academy of Learning through the OUSL and is Compliance Certified from the International Compliance Association and University of Manchester. She obtained first class honors and was placed in second in the order of merit at the attorneys final exam in 1993, before going on to complete her apprenticeship at the Attorney Generals Dept. Summaiya was a founding member of the Association of Compliance Officers in Banks (ACOB) and later on went on to become its Chairperson between 2012-2014. She has an extensive knowledge and experience of all aspects of Banking – Commercial, Retail and Wealth Management, Cards, Payments and Cash Management,Trade, Treasury and HR etc and has specialising in the fields of Legal and Compliance. 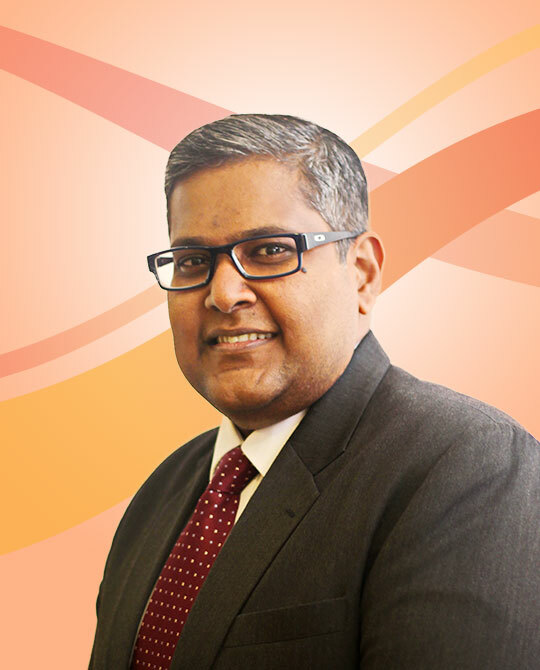 Buddhika Perera possesses more than 20 years’ of local and international Banking experience with proven track records in Retail Banking, Operations, Travel & Remittances, Branch Banking, Alternate Channels and Transactional Banking including establishing new businesses partnerships. Buddhika started his career with Sampath Bank PLC, and then he joined Emirates NBD Bank, UAE which broadened his horizon in Banking by the added international exposure. Thereafter he joined Union Bank of Colombo PLC as Manager Transactional Banking and personal credit prior to joining Cargills Bank LTD in 2013. Buddhika holds a Master of Business Administration from The Cardiff Metropolitan University (UK) and he possesses an Advance Certificate of Marketing from The Chartered Institute of Marketing (UK) and he is a Member of the faculty of trainers at Institute of Bankers of Sri Lanka. 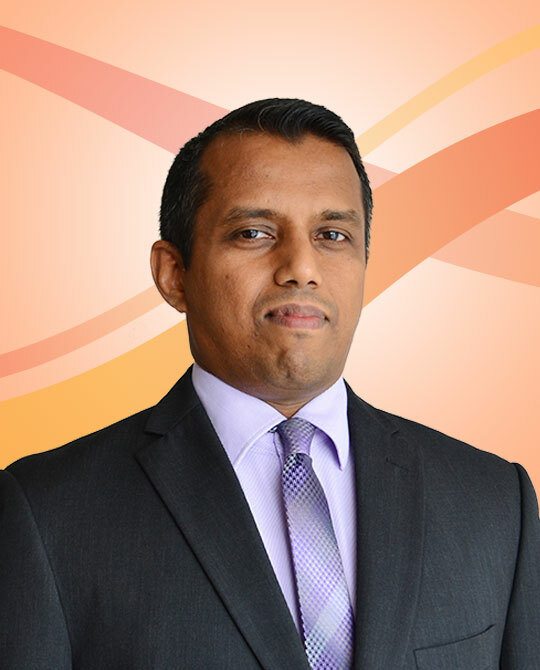 Kanishka Perera possess over 25 years’ of experience in IT and hold the Bachelor of Science in Engineering from University of Moratuwa and Master of Science in Information Security from University of Colombo. He is also a member of the Computer Society of Sri Lanka. 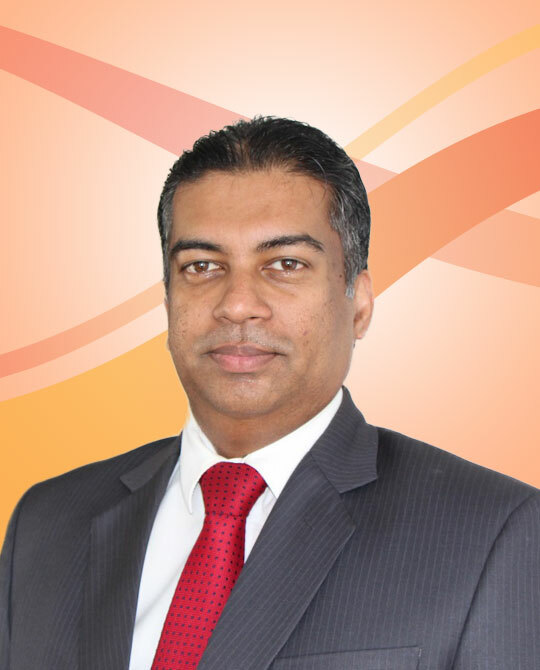 Kanishka joined Cargills Bank Limited at its inception having worked prior with SANASA Development Bank PLC. Apart from his experience with Banks he has worked for several leading IT companies and also a visiting lecturer at the University of Colombo School of Computing. Mr Chandima Samarasinghe is an associate member of the Institute of Bankers of Sri Lanka. He is also a member of CIMA and Chartered Global Management Accountants (CGMA). 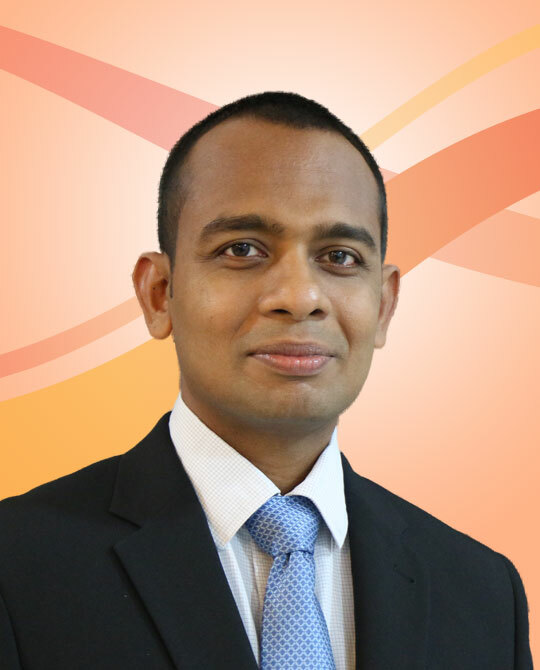 He holds an MBA from the Postgraduate Institute of Management (PIM), University of Sri Jayewardenepura. Auditing and risk management are his main strengths with experience of over 18 years’ in the respective fields. Prior to joining Cargills bank, he worked at Sampath Bank and Nations Trust Bank during his 24 years of career in Banking. Sajeewanie Solangaarachchi is an Attorney –at- Law by profession who possesses over 17 years’ of experience in the field of Law with expertise in laws relating to commercial, food retailing, food services, manufacturing and conveyancing. She also holds a Bachelors Degree in Arts from University of Colombo. 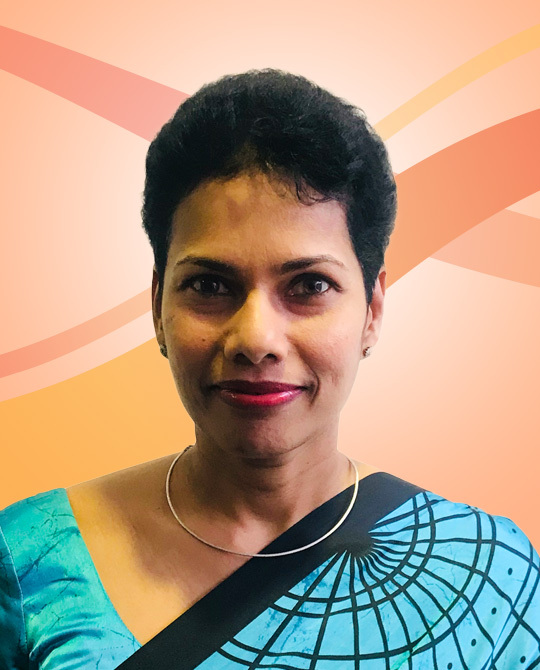 She started her career as a junior lawyer to the President Counsel Mr. W. Dayaratne in 1999 and joined Cargills (Ceylon) PLC as a legal officer in 2003. 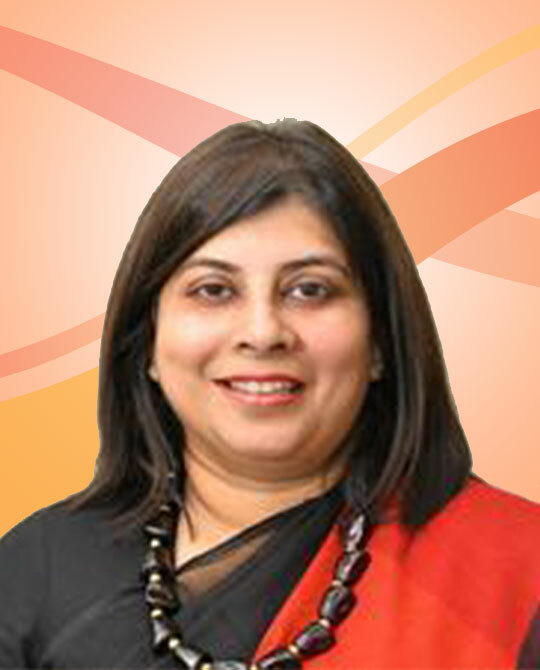 At the time of joining Cargills Bank Limited in 2012 she was heading the Legal Department of Cargills Group. 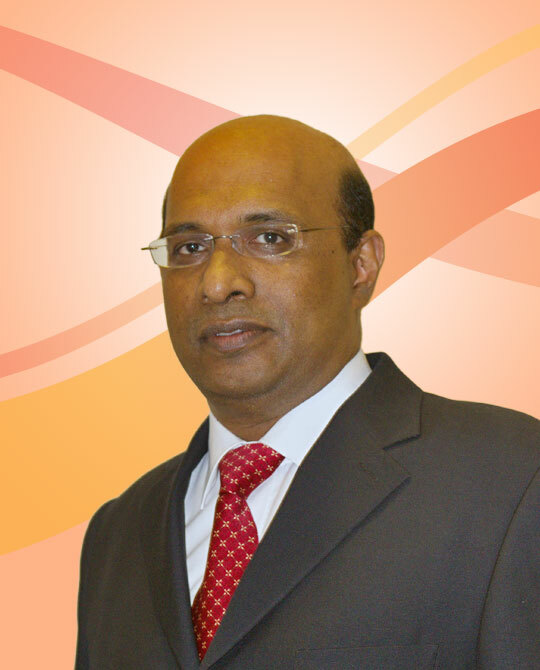 V S Wickramarachchie is a career banker with almost four decades of banking experience with in and outside of Sri Lanka. He commenced his banking career with Bank of Ceylon (BoC) in 1978 and retired as the Assistant General Manager (Treasury). While at BoC he held several Key positions which Included the Chief Dealer of BoC London and BoC Karachi, Officer in charge – Treasury Back Office, Chief Manager – Treasury, Secretary to the BoC Assets and Liability Committee and Member of the Investment Committee of the Bank. He was also a member of the Ceylon Petroleum Corporation – Technical Evaluation Committee. In addition to his exposure in Treasury operation he has also performed his duties in International division, Corporate Export division and also as a project Manager of several Treasury related IT projects at BoC. 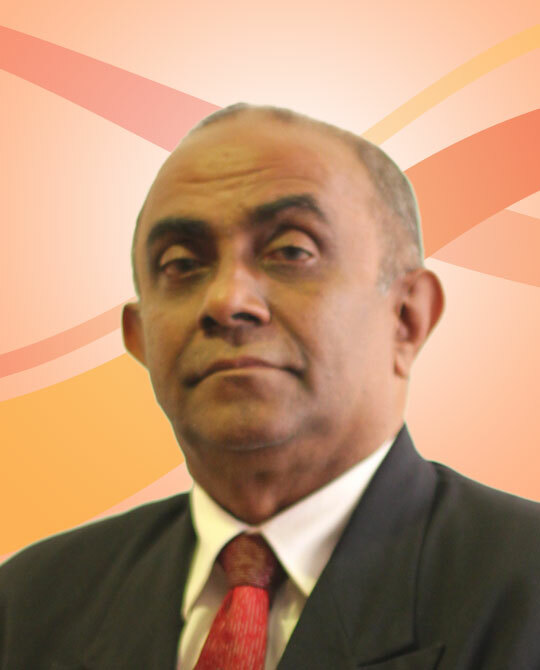 V S Wickramarachchie is an Associate Member of the Institute of Bankers of Sri Lanka and holds a Diploma in Management along with the ACI – Paris Operation Certificate with Distinction. 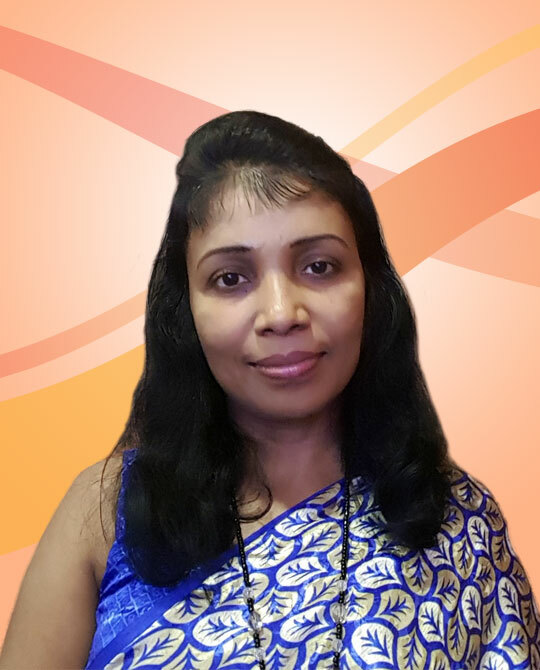 Ms. Chamila Abeysooriya, is a professional banker and has been in the industry for nearly 15 years. She has extensive experience in Collections and Recoveries. Prior to joining Cargills Bank Chamila has worked at HSBC Sri Lanka, Nations Trust Bank and Pan Asia Bank PLC. She holds a Master’s Degree in Business Administration from the Edith Coven University Australia. Sharmal Ferdinando joined Cargills Bank in 2018 and counts 33 years of experience in Operations, Branch Banking, Foreign Currency Banking (FCBU) and Corporate Banking. He was Chief Manager – Corporate Banking at the time of retirement from Hatton National Bank. He possessed an Advance Diploma in Credit Management (ADCM) from the Institute of Bankers of Sri Lanka and is a passed finalist of the Chartered Institute of Bankers, UK (CIB). 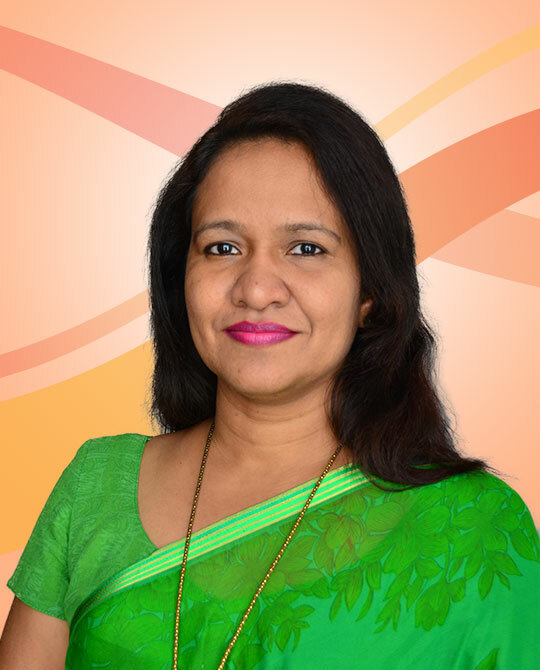 Counting over 15 years of experience in Human Resources Management, Charmani Kulatunge has served in varied industries namely Apparel Manufacturing, Information Technology, Telecommunication and Banking. 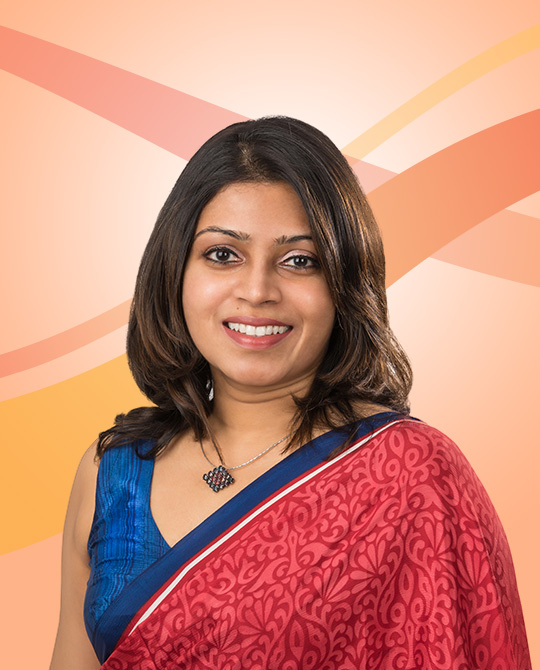 Having started her career at Hemas Group she has later moved into Textured Jersey Lanka (sister company of MAS Holdings) and Bharthi Airtel Lanka Pvt. Ltd. Holding the overall Human Resources Leadership position in two IT companies; Informatics International Limited and hSenid Software International she had represented the Senior Strategic Leadership teams of those organizations and ultimately served Union Bank of Colombo PLC prior to joining Cargills Bank. A Graduate in Management with professional qualifications in Human Resources Development, she has gained extensive experience in managing broad scope of HR Operations, Talent Development, Employee engagement, Employee Relations and Strategic Human Resources Management. Being conversant with labor regulations, she has proven the expertise in managing Industrial Relations and Labor tribunal cases. Hands on experience in modern HRD practices such as competency mapping, Job evaluations as per HAY guidelines, Balanced Score Card etc. are among her career accomplishments. Mr. Alex Perera brings with him over 13 years of experience collectively in the Quantitative Finance sector and the Capital Markets sector. Previously he serves as an Assistant Director at Moody’s Analytics Knowledge Services where he specializes in Risk Management, Data Analytics, Bank Regulatory Capital Management, Asset Management and Stress Testing. Well versed in both local and global financial markets, he entered the Capital Markets domain through his former role as a Senior Business Analyst at Millennium IT, a London Stock Exchange Group Company, where he focused on Global Trading Platforms, Market data Dissemination Systems and Market Surveillance Systems. Throughout his career he has also been involved in Software Development, specifically mastering trading and portfolio analytics technologies. Mr Perera holds a Master’s Degree in Quantitative Finance and Financial Engineering from the University of Manchester (UK) and a Bachelor’s Degree in Computer Science and Engineering from the University of Moratuwa. He is a Chartered Financial Analyst (CFA) and is also a Microsoft Certified Professional. He was also a guest lecturer at the Department of Mathematics of the University of Moratuwa. He was a Senior Oarsmen and the Vice-Captain of the University of Moratuwa Rowing team and took part in many institutional regattas, inter-university and national level rowing championships. He was also an active member of EISL Toastmasters Club. Rajini Prabhakaran counts over 30 years of experience in Retail banking, Treasury, International operations, Project Management and Implementation of Systems and Controls with Hatton National Bank Plc and UFJ Bank Toronto Canada. She is an Associate of the Institute of Bankers of Sri Lanka and lifetime member of the Association of Professional Bankers Sri Lanka. She also possesses ACI operations certificate from the ACI – The Financial Market Association. She was Chief Manger Treasury Operations at Hatton National Bank prior to joining Cargills Bank. 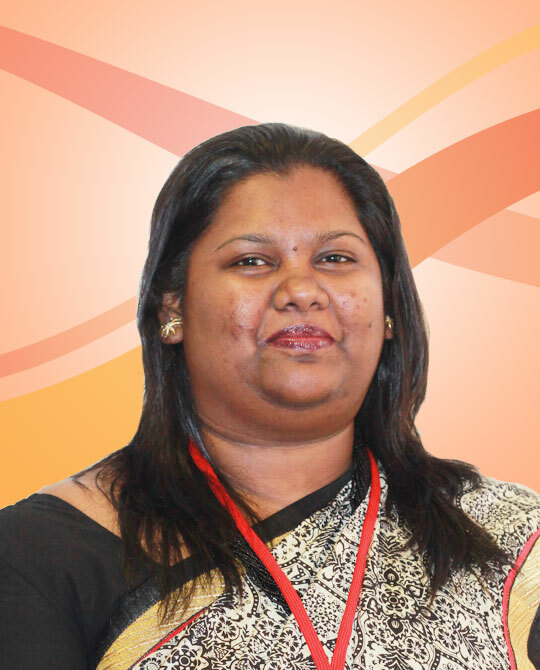 Imesha Sanjeewanie is a Fellow Member of the Institute of Chartered Accountants of Sri Lanka. She also holds a BSc. Accountancy (Special) degree and ICA International Diploma in Compliance. 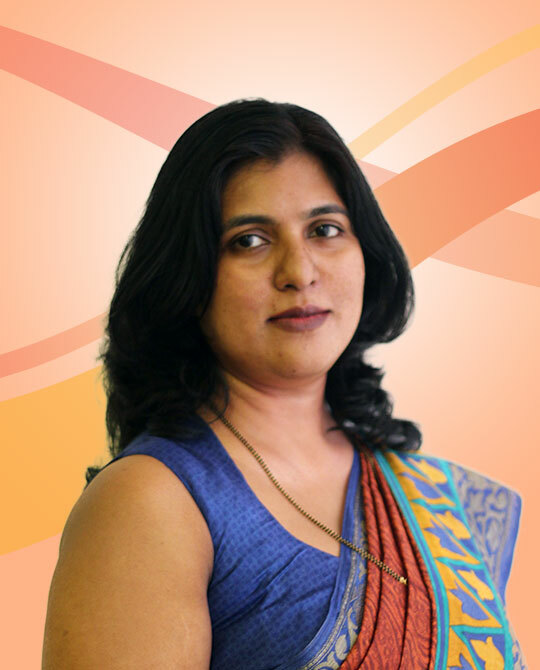 She possesses over 12 years of experience in the field of Finance, Auditing, Accounting and Taxation. She started her career as a Trainee Accountant in PricewaterhouseCooperse, 2004 and joined Cargills (Ceylon) PLC as an Accountant in 2008. Nagalingam Thamilchelvan joined Cargills Bank in March 2017 and is a Member of Institute of Chartered Accountants of Sri Lanka. He is also a Member of the Chartered Institute of Management Accountants (UK), a Chartered Global Management Accountant and a Member of Association of Chartered Certified Accountants (UK). He also holds a B Sc. (Spl) Degree in Accounting from the University of Sri Jayawardenepura. Thamilchelvan began his career with KPMG and has 10 years’ of extensive experience in Accounting, Auditing, Taxation and Finance. During his tenure at KPMG he supervised a team of professionals and associates in carrying out external audits and other service engagements for client organizations across diverse industries, including listed entities and Banks. He served 8 years at KPMG including 4 years in a managerial level. Prior to joining Cargills Bank in 2017, he served as the Head of Corporate Reporting at Cargills Ceylon PLC. Lasantha Mahendrarajah possesses more than 14 years’ of experience with proven track records in Wholesale Banking, Trade Services, Corporate Banking, Retail & SME Credit, Mid Corporates, Leasing, and Branch Banking. 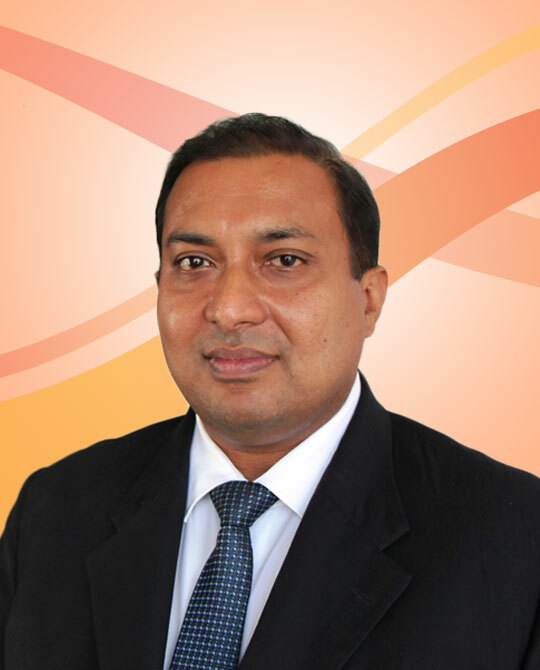 Lasantha started his career with Union Bank of Colombo PLC, and later joined Nations Trust Bank PLC. 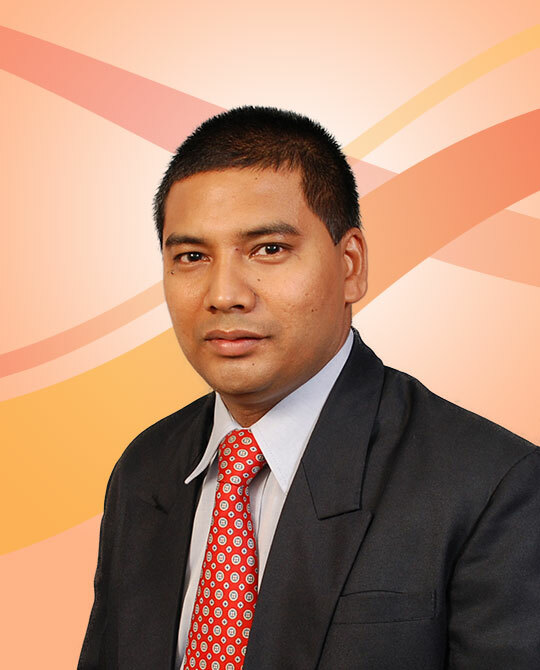 Lasantha holds a Masters in Business Administration from The Cardiff Metropolitan University (UK) Specialized in Finance and presently reading for his Doctorate in the field of Business Administration in entrepreneurship financing with University of Kelaniya.